Birds are difficult to capture on camera. Somehow, they always know that you are trying to take a shot of them, and fly away... 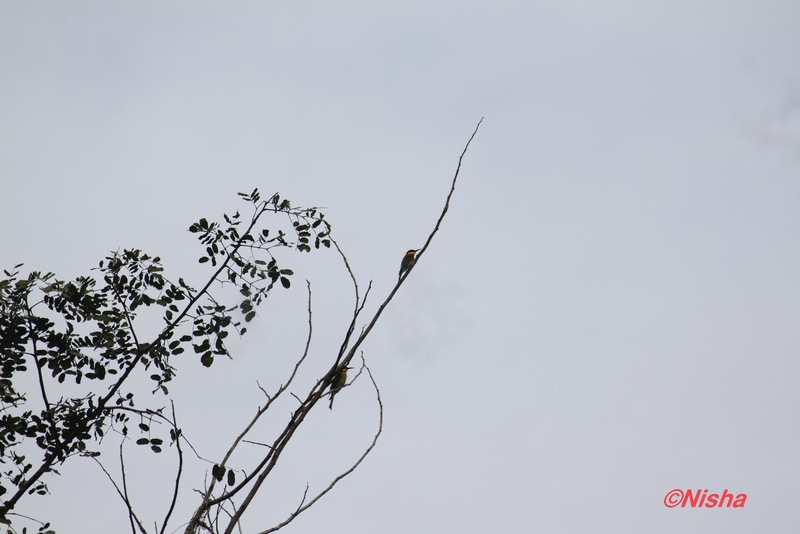 So, these images are treasures for me..
Far away on the tree top the chestnut headed bee eater? 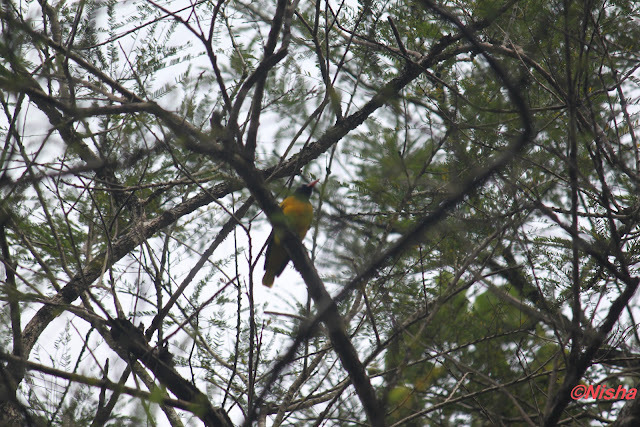 Manjakkili - Black hooded Oriole? Good pictures. I think the surprised guest is an egret, maybe a cattle egret. 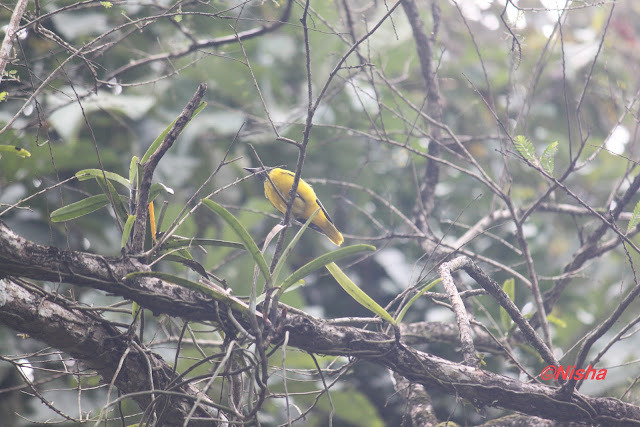 And the manjakili could be a black-headed oriole (the Eurasian golden oriole has a yellow head). The far away on the tree top ones are probably bee eaters (not sure). They used to frequent our backyard in Gurgaon. really superb. where u took all these pictures. Thanks for the comments and clarification. 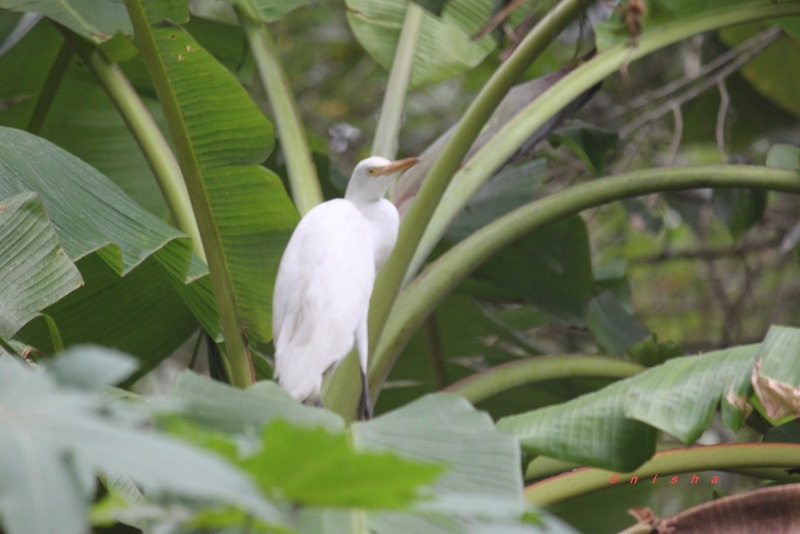 I think you are right about egret and oriole. I took the photo of the far away birds thinking that they are kingfishers. 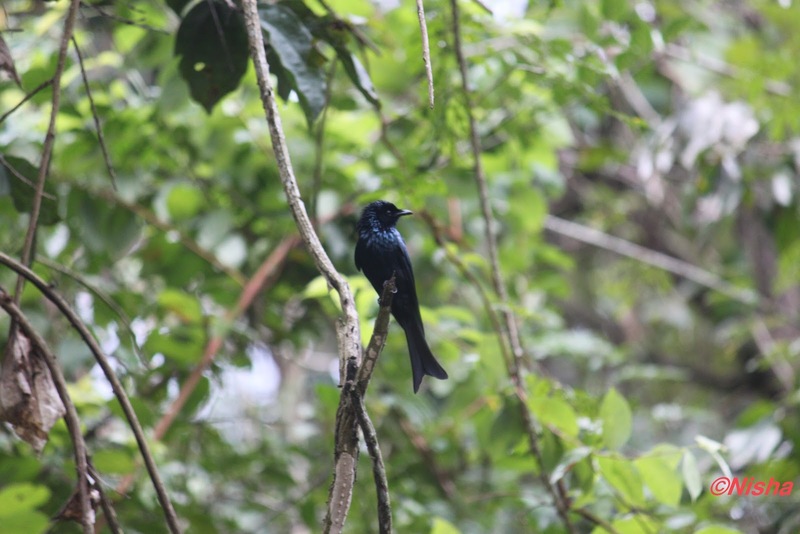 From far they looked like kingfishers. But not sure. Thanks a lot. It is from my ancestral home and its surroundings..